With the 2018 season just days away, Maryland Baseball Network continues its preview of what to expect from the Terps this season. After breaking down the pitching staff, both starters and relievers, it’s time to take a look at Maryland’s infield. The Terps will be without shortstop Kevin Smith, who led the team in RBIs (48) and slugging (.552) a year ago, and tied for the team lead in home runs (13) before being drafted by Toronto in the 4th round of the 2017 MLB Draft. Nevertheless, the Maryland infield is in good shape, with three returning starters from last season, albeit one – AJ Lee – at a different position. Here’s how the infield shapes up for the opening series against Tennessee. A mainstay behind the plate during the Terps’ postseason run in 2017, senior backstop Justin Morris will maintain his role as starting catcher this spring. 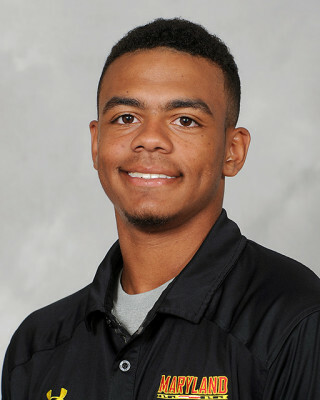 Throughout most of his time in College Park, Morris has been best known for his defensive abilities, both in blocking pitches in the dirt and throwing out runners. But last year, the Edgewater, Maryland, native showed some thunder with the bat after taking over as the full-time starting catcher in early May. In the final 14 games of the season, he hit .267 with three homers and nine RBIs, including a two-run shot against UMBC in the NCAA Regionals. Morris stayed hot for the summer, slashing .308/.418/.508 in 20 regular season games for the Cal Ripken League’s Bethesda Big Train. He came up clutch in the playoffs as well, earning League Championship Series MVP honors after going 6-for-12 with four RBIs and five runs scored during Big Train’s title run. Entering this season, the Terps don’t quite know what they’ll get out of Morris offensively. He has some of the best power potential on the team as well as a patient eye, and if he hits consistently, as he did down the stretch last season, then the lefty-swinging backstop will be a valuable asset that strengthens the bottom of the order. At the very least however, he will provide strong defense behind the plate with the ability to come up with a big hit from time to time. Like Morris, senior Kevin Biondic has had an up-and-down career with the Terps. After struggling as a freshman, the Oak Lawn, Illinois, native had a breakout sophomore campaign. He appeared in all 57 games, slashing .278/.377/.407 with five homers. He couldn’t replicate his success last year though, hitting .161 with no extra-base hits in 72 plate appearances and losing the starting first-base job to graduate transfer Brandon Gum. A summer in the Northwoods League rejuvenated Biondic, however, as he found a groove in more ways than one. In 49 games with the Thunder Bay Border Cats, he hit .254 with a .745 OPS, five homers and 26 RBIs, very similar numbers to the ones he posted in the spring of his sophomore year. 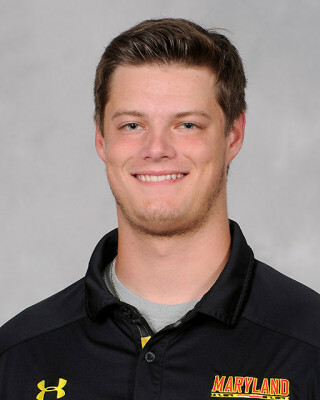 He also experimented on the mound, tossing 16.2 innings with 11 strikeouts and a 1.62 ERA, good enough to garner him consideration for a bullpen role with the Terps this season. Biondic continued to impress this fall as well, going 7-for-9 in the Fall World Series, which, coupled with his strong summer, earned him a spot back in the starting lineup. Nick Dunn is reliable. In two seasons at Maryland, he has started every game: 57 as a freshman in 2016, and 61 last year as a sophomore. 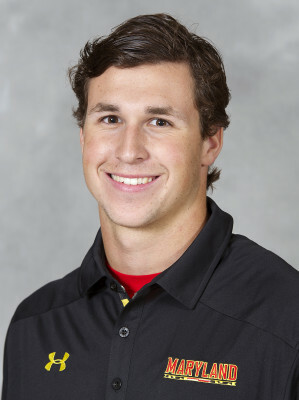 The second baseman is undoubtedly the rock of a Terps infield that will see new starters at three positions this season. Recently named a Preseason Third-Team All-American by Baseball America and Perfect Game, Dunn figures to be a mainstay in the upper part of Maryland’s lineup this spring. 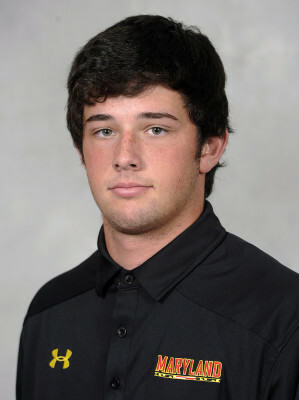 In 118 games as a Terp, the junior owns a .280/.363/.388 slash line. The Sunbury, Pennsylvania, native had a down year average-wise in 2017, hitting just .261, but found a power stroke, hitting five of his six career long balls. Unlike some of his teammates, Dunn isn’t subject to swing-and-miss tendencies, either. Last spring, he walked 28 times and struck out just 23, making him the only Maryland starter with a strikeout-to-walk ratio under one. In his career as a Terp, he has struck out in just 8.81 percent of his at-bats, easily the best mark on the team in that span. 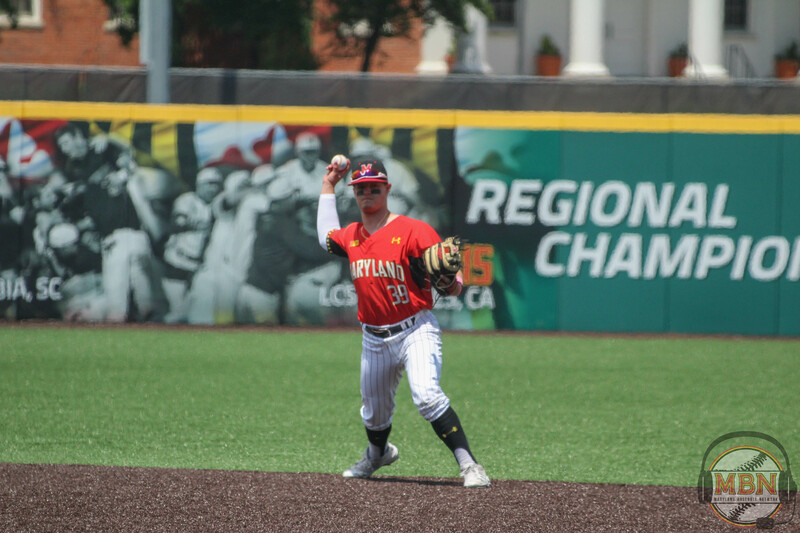 While not the fastest Terp, Dunn can provide a spark on the basepaths, and is a smart base runner, going a perfect 11-for-11 in steal attempts in his career. His offensive performance in College Park, while impressive, doesn’t compare the Cape, where Dunn shines the brightest. In two summers with the Cape Cod League’s Brewster Whitecaps, Dunn hit .321 with an .809 OPS. He garnered national attention last summer when he earned Cape Cod LCS Co-MVP honors after leading the Brewster Whitecaps to their first Cape title in 17 years. Like the previous Cape playoff MVP, Smith, Dunn will look to translate his summer accolades to spring success at Maryland. A strong showing at the plate from Dunn will not only help the Terps this spring, but will boost his stock heading into June’s MLB Draft. A year after a breakout season as Maryland’s third baseman, AJ Lee will slide over to his natural position for his junior campaign. A local product out of St. John’s College High School in Washington, D.C., Lee burst on the scene as a sophomore after limited contributions as a freshman. He started 55 of Maryland’s 61 games last spring, slashing .307/.389/.474. Viewed mostly as a speedster (his 15 stolen bases ranked second on the team last year), he showed impressive pop as well, trailing only Smith and Marty Costes in slugging and home runs (8). With Smith’s departure, Lee can switch back to his natural position. Lee played stellar defense at the hot corner for most of last spring, and played short over the summer for the Cal Ripken League’s Baltimore Redbirds, so the defensive switch should be easy for him. Despite taking a step back at the plate over the summer (.262/.381/.352, 7 XBH in 147 PA), Lee figures to be a key component in the Terps’ lineup this season. 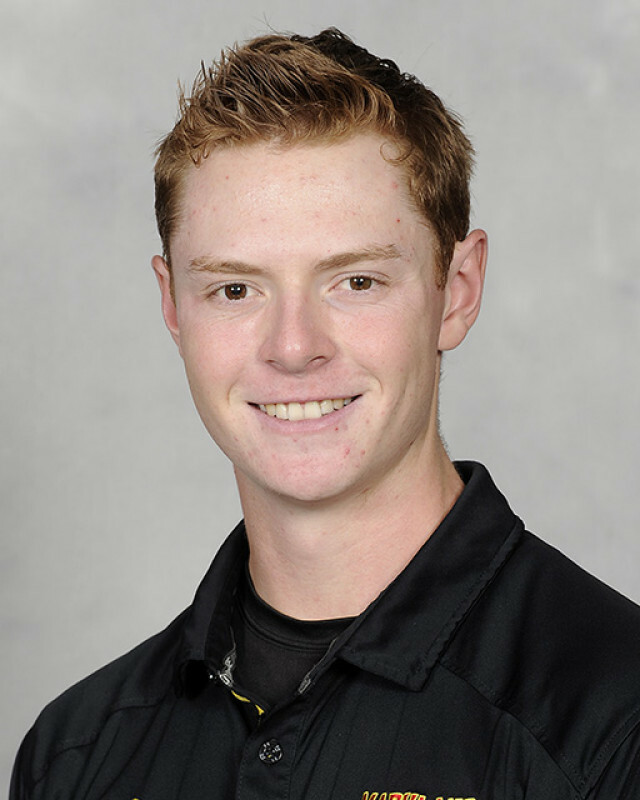 Joining the four returning upperclassmen in the infield is Taylor Wright, who comes to Maryland after two strong seasons at Colorado Northwestern Community College. As a freshman in 2016, he slashed .328/.407/.423 in 48 games, with 27 RBI and 31 runs scored. He followed that up with a sophomore campaign in which he led the team in batting average (.333), on-base percentage (.453), slugging (.544), home runs (5), doubles (17) and stolen bases (23), while playing in 52 of the team’s 53 games. He boasts patience at the plate, as he walked (56) more times than he struck out (40) in his two years at Colorado Northwestern. Wright is coming off a strong summer with the Kelowna Falcons of the West Coast League, as he led the league with 54 RBIs in 53 contests, while smacking 12 homers and hitting a stellar .337. The Vancouver, British Columbia, native will take over as the starting third baseman this spring, and Vaughn said that he thinks Wright will be an impact bat in the heart of the Terps’ order. Other infielders on the roster include freshmen Bubba Alleyne, Michael Pineiro and Tommy Gardiner, sophomore Barrett Smith, and junior college transfer Brad Barnett. Behind the plate, Morris will be backed up by redshirt freshman Ty Friedrich and freshman Justin Vought.